A mountainous barangay, Puhagan, Valencia will soon be the first village in Negros Island to have free wireless internet access in public areas through a public-private partnership led by geothermal leader Energy Development Corporation (EDC). This privilege will be given to Puhagan residents once the facility is put up this May through the public-private partnership of EDC, the Negros Oriental Chamber of Commerce and (NOCCI), the Department of Information and Communications Technology (DICT), the Municipality of Valencia, and Barangay Puhagan. EDC donated materials and equipment necessary to construct the public wifi facility worth P735, 000 to the barangay, while DICT will provide for bandwidth, the local government of Valencia will allocate of 5mpbs of their 20mbps bandwidth which in turn, will provide the site of its operationability and the maintain of the facility. NOCCI will provide technical support to barangay Puhagan. DICT Provincial Director Engr. Aurelio Tinapay revealed that no telecommunications company was willing to provide this service because doing so in a mountainous area was expensive. 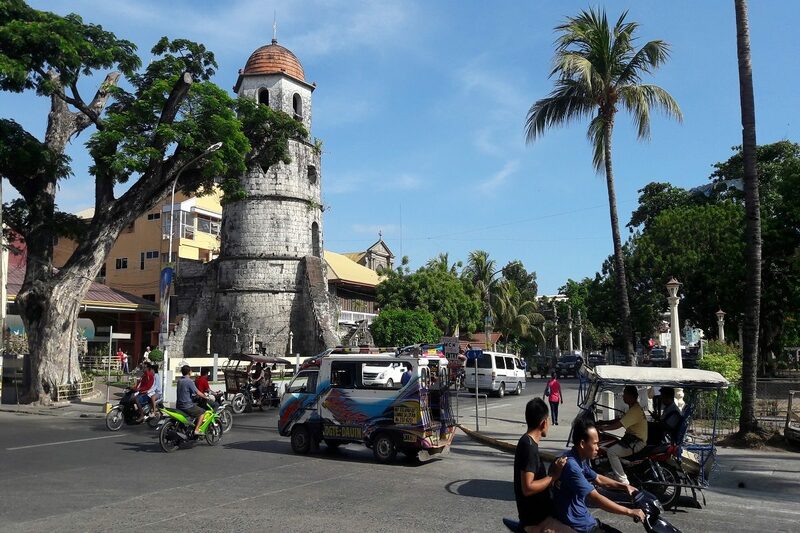 “Thankfully we have proactive partners like Valencia Mayor Edgar Teves who was willing to allocate 5mbps for Puhagan, NOCCI for their technical support and EDC for the infrastructure,” added Tinapay. Norreen Bautista, head of EDC’s Corporate Social Responsibility team in Negros Island, emphasized the importance of this project because it is the company’s way of empowering its community by being globally connected through the internet. As confirmed by DICT, EDC’s donation is historic because Brgy. Puhagan is the first “off-grid” disaster-prone Barangay in the country to be connected to the internet for free. EDC is the country’s premier renewable energy company and one of the world’s largest geothermal producers. Its geothermal facilities in Valencia, Negros Oriental has been providing clean, renewable, reliable power 24/7 to Negros Island and other parts of the Visayas region for over 36 years. Negros Oriental has marked its first Renewable Energy Day following Gov. Roel Degamo’s Executive Order No. 22-18 establishing the event every March 5 annually. The declaration has made Negros Oriental the first province in the Philippines to legislate unequivocal support and commitment to renewable energy sources through an annual commemorative local government event. On March 2018, Degamo also signed an executive order declaring the province as environment-friendly and clean energy province committed to utilizing only clean and renewable energy sources such as geothermal, hydro, wind, and solar, as well as shunning the use of fossil fuels and coal operations in power generation. “Renewable Energy Day is an important occasion for the people of Negros Oriental to come together and celebrate our common interest and goal of caring for our rich natural resources,” said Degamo. “We achieve this through daily activities as well as business practices that do not harm our environment, and this primarily includes going for renewable and sustainable sources of energy to power the progress of our communities,” he added. The first Renewable Energy Day in Negros Oriental was held at the Lamberto Macias Sports and Cultural Complex in Dumaguete City. A highlight of the event was an exhibit of renewable energy players, along with other organizations and proponents of green and sustainable business practices such as organic farming. Guest speakers gave talks on renewable energy sources and inspirational stories on sustainable living. Special guest Miss Earth 2015 Angelia Ong, a native of Lapuz, Iloilo City, shared her experiences as an advocate of environmental causes. Other guests were representatives from the academe such as Silliman University and Foundation University and Engr. Edwin H. Alcober, Head of geothermal leader Energy Development Corporation’s (EDC) Geothermal Resource, Sub-Surface Group who talked about energizing the future. “We hope that with celebrations such as Renewable Energy Day, our humble province serves as a beacon of hope and a shining example to other communities as well as to the entire Philippines that a renewable energy future is possible and extremely beneficial not just for the environment but for us humans,” said Degamo. The geothermal powerplant facility in Valencia, Negros Oriental operated by EDC. Energy Development Corporation (EDC) has been included in the latest list of the world’s top 200 biggest and greenest companies. Its 222.5MW geothermal facility in Valencia, Negros Oriental has been providing clean, reliable baseload power to the province and to the rest of the Visayas region for over 36 years. EDC Corporate Communication Officer France Ariola said the latest ranking (for the third quarter of 2018) marked the third time for EDC — and the first time for First Gen — to make it to the Carbon Clean 200. Ariola said based on the latest list, First Gen ranked 113rd with estimated clean energy revenues of US$632 million in 2017, while EDC occupied the 139th slot with estimated clean energy revenues of US$494.72 million. EDC is one of the world’s largest geothermal producers and the country’s leading renewable energy company with an installed capacity of 1,471.8 MW. First Gen is the Philippines’ leading clean and renewable energy producer with 3,490 megawatts in installed capacity. The prestigious list, called the Carbon Clean 200, ranks companies according to the size of their revenues from clean energy sources. Launched jointly by non-profit organization As You Sow of the USA and market research group Corporate Knights of Canada, the Carbon Clean 200 list undergoes an update twice a year, based on total clean energy revenues that Bloomberg New Energy Finance (BNEF) rates. To qualify for inclusion in the list, a company must have over $1 billion in market capitalization and generate more than 10 percent of its total revenues from clean energy sources, said Ariola. “Being the only Philippine company on the list is a strong recognition of our commitment to not invest in coal and to make RE [renewable energy] more accessible to the Filipinos to help drive a low-carbon economy for the country,” said First Gen and EDC Chairman and Chief Executive Officer Federico R. Lopez. EDC also holds the distinction of being a carbon-negative company. Ariola explained that the amount of carbon dioxide (CO2) it absorbs is far more than the level of CO2 it produces. On an annual basis, EDC helps the country avoid 6.7 million tons of CO2 emissions through its pure renewable energy operations and comprehensive watershed management program. The Carbon Clean 200 list excludes all oil and gas companies and utilities that generate less than 50 percent of their power from renewable sources. This also excluded the world’s top 100 coal companies, measured in terms of reserves. Coal is considered a major source of CO2, one of the greenhouse gases being blamed in various studies for adverse climate change. Carbon Clean 200 likewise disqualifies companies that profit from weapons manufacturing, tropical deforestation, the use of child and/or forced labor, and those engaged in negative climate lobbying. Thirty-tree countries were represented in the latest Carbon Clean 200. Fifty two companies were based in China, 34 from the United States, and 19 from Japan.